This site stems from a grass roots community of people using electric vehicles to get around town using electric vehicles. We teach each other how to live with electrified transportation. The site mission is education around use of electric vehicles with a goal of reducing or eliminating fossil fuel use. The community is designed for all forms of electric vehicles but in practice we tend to focus on the personal EV's. Electric bicycles, scooters and motorcycles. Advertising on this site is a way to sponsor the existence of the site and the education happening here, while giving this audience visibility to your organization. The community has existed in its current form since November 2006 and was born from an earlier community site also named "V is for Voltage" which itself existed for several years before 2006. The community has well over 5000 registered users. Traffic on the current site routinely bounces between 1500-2000-3000 visits per day. Note that's "visits" (as reported by Google Analytics), not page views and each visit routinely involves dozens of page views. Sponsorship will be accepted by EV and Green Energy related businesses which include but are not limited to products and services dealing with Batteries, Battery Packs, Battery Monitoring and Management systems, Electric bicycle, scooter or motorcycle manufacturers or dealers, Electric Motors, Controllers, Parts Fabrication, Chargers, Repairs, Lightweight Replacement Parts, Wheels, Tires, etc. There are two ad placements supported on this site. Ads can link either to your own website, or to an entry in the vendor directory which is controlled by you. Text links (at top): Static placement of up to three words (preferably business name) with a link to the page of your choice, placed at the top of the page just below the navigation menu. It will be seen on every page view. This is a premium location and it is designed to appear the same as the sponsors list on bentrideronline.com. Cost is $20/month or $15/month in 6 month increments. Left sidebar: Static Placement 125x125 pixel ad, visible on the V is for Voltage site, on the right-hand side of the screen, interspersed with the adsense placements as described in this table. The rate schedule is subject to change in the future. The current policy is that advertising is shown only to logged-out visitors and that advertising disappears once the member is logged in. Currently we can accept paypal (hence credit cards), and checks cashable at a U.S. bank. Traffic statistics are gathered using Google's Analytics service, with secondary statistics from Adsense. Overall traffic from Jan 1-Dec 28, 2009. This is the number of 'visits' per day where Analytics declares a visit consists of a series of page views initiated by the same browser over a short period. While the membership is heavily concentrated in North America, nearly 1/2 come from elsewhere. Time period is from Jan 1-Dec 28, 2009. Time period is from Jan 1-Dec 28, 2009. Does the ad location matter? It's been observed after over a year of running adsense advertising that the upper adsense placement earns 3x the lower adsense placement. While its true that most of the pages are long meaning that visitors will scroll down most of the screen, it's also demonstrated true that the uppermost ads get more attention. The content, colors and general composition of your advertisement has a major impact on how effective it will be in getting the attention of readers and bringing them to your site. 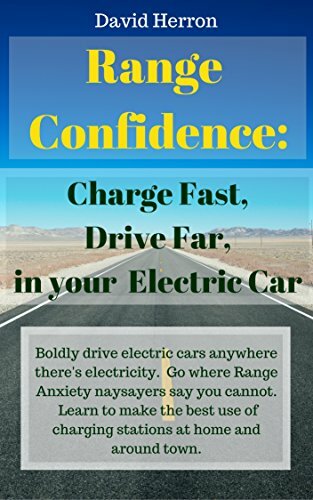 We recommend advertising specific EV-related items and services and having the message very clear on the ad. You are welcome to send us a new image at any time. In order to save us from too much overhead, we do ask that you please keep the number of updates to your graphic under once per week, though. Your ad must be 125x125 but we do custom sizes that are taller than 125 pixels but still 125 pixels wide. Please use JPG, PNG or GIF as your file format. You may do animated GIFs but please limit your frame count to keep the file under 40KB.